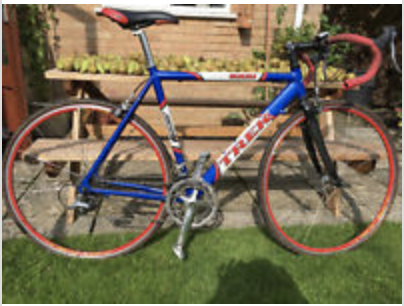 56cm Trek Alpha 1000, red broken tapes. It has miles measure. Here, I attached a link with the same model. Since I have lived in Bristol (3 years) I have seen the same model once, therefore if the same model its seen at bristol it is probably mine.